Sony teasing new PS Vita hunting game? Those marumaru! What could they stand for? Phantasy Star Online 2, Soul Sacrifice, Toukiden, Ragnarok Odyssey Ace, and God Eater 2. 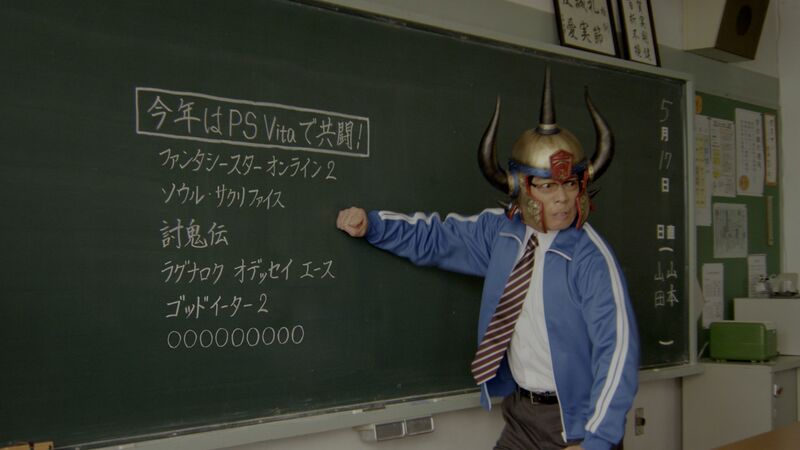 Those are this year’s PS Vita hunting games, according to a new Japanese TV spot for the handheld. Those circles are called marumaru, a commonly used placeholder symbol in Japanese. It means something is supposed to be there, but they’re not quite at the point of telling you what it is yet. Perhaps it’s the today-teased Panopticon, whose platform and genre have yet to be announced? If so, we’ll find out on May 21.